Powerful video made by a student at one of America’s high achieving public high schools, in Scarsdale, N.Y. I taught at Scarsdale HS from 1990-2008. The concern by many teachers, parents and students about student stress, even before CCSS, NCLB, and RTTT, etc was palpable. I heard each of those comments by so many kids in every year I was there. It has unfortunately moved down to elementary schools as a result of all the state tests. We (teachers like my former colleagues and friends seen on the video) worked together to try to do many things to lessen that, but the pressure by parents and peers on SHS kids to take SATS in the 7th grade, PSATS, SATS, ACTs, and of course as many APs as possible to get into college was HUGE. 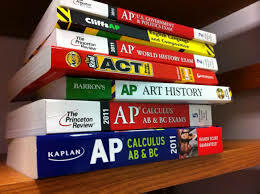 In fact SHS became the first public HS in the nation to drop ALL AP designated courses. The Rat Race to get into the most prestigious colleges was rampant. There were many students who didn’t fall into that trap was a fairly significant group, but the highest achievers were often driven to tears. Rachel’s video tells that story so the whole country can see and hear it. Those comments are timeless in high pressure districts. Now however they have become part of our national fabric, thanks to privatization. By the way, Since 1993 Scarsdale HS ends its senior year 6 weeks early so that every senior can do something they have a passion for, discover a new skill, build stuff, explore a career path or hobby, or make a film like this. (I will find out if in fact that is what took place.) This Senior Options program (an offshoot of The WISE Program) is a model I wish all High Schools had. Contact me for info. Kids intrinsically know work can be FUN! All we have to do is give them the chance.